New Feature! 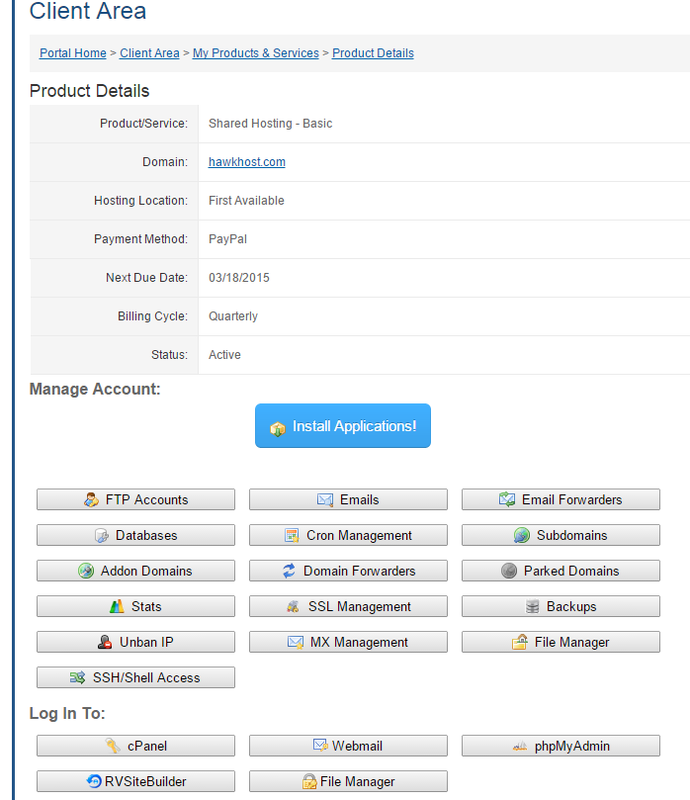 cPanel Integration For Your Client Area! Up until today, any time you wanted to make a change to your hosting account (domains, databases, emails, etc) it had to be done directly through cPanel. This meant you needed to remember multiple usernames and passwords (Note: If you’re not already, you should be using LastPass for secure password management) depending on whether you wanted to access your client area, helpdesk account, or cPanel. We’re very happy to say we’ve found a way to integrate your cPanel control right into your client area, meaning fewer logins and a more unified hosting experience. Hooray! FTP Control – You can create, edit, and delete FTP accounts. Database Management – Create new databases, add new users, add users to an existing or new database, or delete existing users. SSL Management – Generate or view your private keys, CSRs, and SSL certificates. You can even install a new SSL certificate. Domains – Create or edit addon domains, parked domains, or subdomains. Backups – Generate a new backup or download an existing one. You can also download individual database backups. One Click Logins – With a single click you can login to Webmail, phpMyAdmin, RVSiteBuilder, and even your File Manager. Install Applications – With native Softaculous support, you can install and manage any application offered by Softaculous without having to login to cPanel. About halfway down the product details page, you’ll see all the available integration options listed. Click any of the images to get started! All of your existing FTP users, MySQL databases, addon domains, etc should be imported to the client area. You may never have to login to cPanel again! 2 Responses to New Feature! 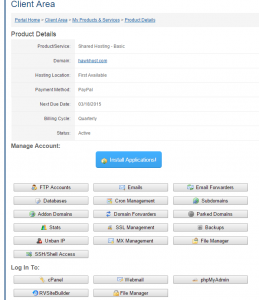 cPanel Integration For Your Client Area! This is very nice, thanks for adding this in. Is there any chances of adding options to change your primary domain/username for cPanel? (knowing the risks of what you would break doing it). “Note: If you’re not already, you should be using LastPass for secure password management” What do you think is it better to use LastPass or Roboform?